When the Mercedes SLS AMG GT was given its swan song in 2014, it left a gullwing-shaped hole in the heart of the automotive industry … the burnout-loving, sideways-driving side anyway. Fear not, torque-addicts, Mercedes has just released new engine details on its successor: the biturbo demon simply dubbed the AMG GT. Mercedes calls the new V8 “truly a technological masterpiece,” and they might be right. The motorsport-derived unit has lightweight, forged pistons that are bathed in a “nanoslide coating” to reduce friction losses. Due to dry-sump lubrication, the V8 has no oil pan, allowing it to sit lower and move the vehicle’s center of gravity closer to the ground. To keep the engine compact, its turbos are actually mounted inside the engine block. Also, just listen to the thing. Thus far, we’ve gotten powertrain details, engine sounds, a snapshot of the interior, and that’s about it. 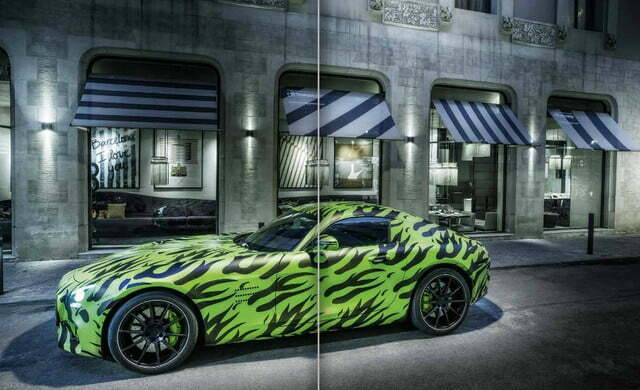 This may sound odd, but Mercedes is taking it pretty slow with the AMG GT. 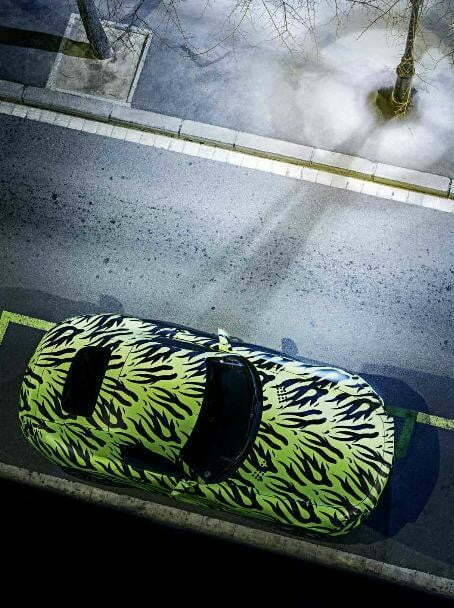 The car was announced in April and we’re still waiting on a full, uncamouflaged shot of the GT’s exterior. Gordon Wagener, chief designer for Mercedes, assures that the AMG GT “will be the most beautiful car my team and me have ever designed,” and we really have no reason to doubt him: the SLS AMG GT was a stunner. No word if the new car will have the SLS’ gullwing doors though. As far as we can tell, Mercedes’ AMG website looks to be releasing performance details in July, design details in August, and a full world premiere in the fall, so stay tuned for that. 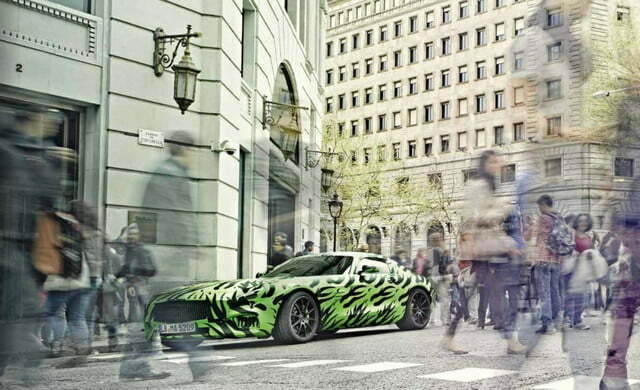 The Mercedes AMG GT goes on sale March of 2015. Watch Mercedes’ engine reveal below.